Lesley has her immensely successful cookery school based at Abbot’s Hill Farm in Dorset, where she also lives with her husband and two children. Originally a Londoner born & bred, Lesley was quickly charmed by the beauty of the West Dorset area and inspired by the superb quality of the fresh local produce available right on her doorstep. She likes to cook seasonal food whenever possible and her simple, modern style creates dishes that are easy to recreate with stunning results. Lesley studied French Cuisine for three years at Ealing College, which included time as a chef at the Waldorf Hotel. During this training period, she won one gold, and two silver medals at Hotelympia and was awarded a scholarship to the Hotel Intercontinental, Dusseldorf. She joined Prue Leith’s Restaurant and was quickly promoted to senior chef. She then worked as a freelance corporate chef and caterer for government officials before joining Leiths School of Food and Wine as an instructor, rising to head tutor. Here she perfected her cookery demonstration and food photography skills. She has often represented British food at international cookery displays, taking as her theme ‘good food for health’s sake’. She has worked in television since 1989 and her varied career has included writing and presenting. Most recently, in addition to regular slots on This Morning, Lesley appeared on the 2013 series Chefs: Put Your Menu Where Your Mouth Is for BBC1, and in 2015 on Food Network’s The Big Eat, and Dog Rescuers on Channel 5. An accomplished writer, Lesley has written many cookery books, including collaborations with Sainsbury’s and Weight Watchers and is regularly in demand for her food journalism. 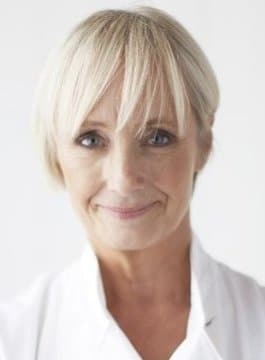 Over the years Lesley has worked with a number of high profile brands; she is currently an ambassador for DuPont Teflon, and was the face of Lidl Supermarkets 2010-2012. She regularly appears at food festivals around the UK.